Debuting this fall, the new Grand Avenue area at Disney’s Hollywood Studios is being re-imagined by Walt Disney Imagineering to capture the spirit of present-day Downtown Los Angeles, showing vintage office buildings and warehouses representing the different vibrant districts and cultures of the city. One prominent hot spot to spring up is the BaseLine Tap House, a cheerful corner pub specializing in beer and wines from California. 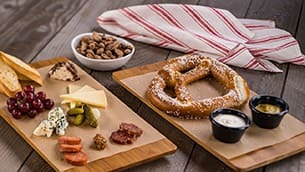 If you’re feeling peckish, try one of the small bites, including a Bavarian pretzel with mustard and beer-cheese fondue, spiced almonds or a charcuterie board featuring California cheeses. BaseLine Tap House will open daily at 11 a.m. 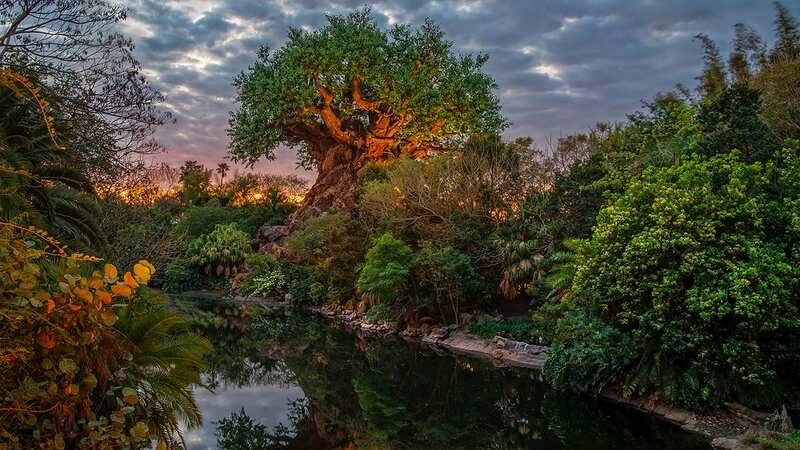 Check the Disney Parks Blog for an announcement of the opening date. Didn’t see a response. Can you make a reservation? I figure it depends on the kids. I have taken my kids to places like this when traveling. They love nice cheeses. Everything doesn’t have to be chicken nuggets and fries! Serious question: are spiced almonds not vegan because of the spice? There are a plethora of places to take the family, but this looks like the rare respite for adults who want a break. 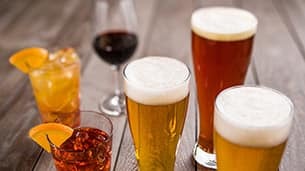 I don’t drink alcohol, so I love that you’re embracing the zero proof cocktail (finally; why isn’t a culinary leader like Disney st the front of the pack?) with the lemonades. I am glad that it looks like some of the old street will remain?.. still trying to figure out how they are going to blend this old-town neighborhood feel into the entrance of Galaxy’s Edge while including the existing Star Tours and Jedi Training areas. Will be interesting to see. I too loved to get a cup of joe at the Writer’s Stop.. best place in the park. Biggest thing that needs to change is to update that 4D Muppet movie. The tech is so old and the movie looks so dated. Come-on, Disney, PLEASE update this attraction. Do more than just replace the entrance marquee. Is this at Walt Disney World ? Hum don’t think we ever noticed the writers stop. Does anyone know if this place will take reservations? Very cool! I think this will be a good addition. Once Toy Story and and Galaxy’s Edge open, I think there will be plenty of additional themed restaurants to help sort out the crowds at Sci-Fi and 50’s Prime Time. Will this place offer any vegan food items on the menu? We are looking forward to the changes coming to our favorite park! So much for family friendly. I don’t think this will be a place to take the kids. Too Bad we love the Writer’s Stop. What is happening? Interesting, a Sci Fi manager told us the plans were to expand the restaurant into the former “writers stop” so they’d offer more seating and a full bar at Sci Fi. I guess they scrapped that idea?! I would’ve been more interested in that concept since it would increase our chances of grabbing a table last minute during peak times. Apparently it is that old Streets of America (that they left up) area next to Muppet’s Courtyard that will serve as an entrance to Galaxy’s Edge. This is the area that used to be the end of New York Street, correct? So, the Tap House is the Writer’s Stop? Where is the new “Grand Avenue” area of Hollywood Studios? This is the first I have heard of it. It will be located between Muppet*Vision 3D and the Sci-Fi Dine-In Theater Restaurant.